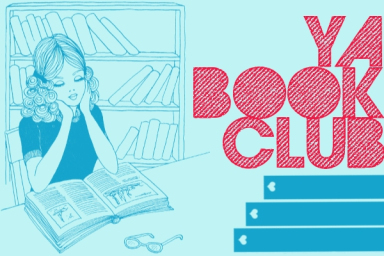 YA Book Club is a product of Tracey Neithercott’s brain. This usually results in a lot of fun times and general shenanigans. For full details and instructions click the link. I will not even try to do a post without spoilers. At this point I can’t imagine what purpose that would serve any of us. Though, I will say, THIS POST CONTAINS MANY SPOILERS AND DRAMATIC EXCLAMATIONS. I have a lot of good things to say about the Divergent trilogy as a whole. I think the creation of Four (because when you can be called Four why would you ever go by anything else?) and his existence in our imaginary world is one blessing that cannot be taken from us. The story is absorbing. The world is compelling and largely believable as a functioning future version of our own world. The swoon and the feels present in all three books never disappointed me. I am impressed by Veronica Roth’s storytelling ability. Her prose is clean, bold, sometimes stark, but always engaging. She created characters that were flawed, strong, weak, broken, beautiful, and deeply real. I have a lot of good things to say about Allegiant individually. For me, Tris was never my favorite narrator. I had a hard time connecting with her from the beginning of the series. It’s hard to explain. I loved Four, though, and while I don’t think the dual POV in Allegiant was distinct enough for me, I still very much enjoyed having his POV because it helped me see Tris in a new and kinder way. I found myself more attached to her and more aware of her beauty and goodness than when I was confined to her head. I think this was genius on Veronica Roth’s part because…when Tris dies, it resonated with me for days. Tris became a woman capable of true sacrifice over the course of this series. She became solid but vulnerable in Allegiant, and losing her was truly devastating. However true to the character and the story as it may be, watching Tris die still didn’t sit well with me and it has taken me a a few weeks of intermittent mulling to discern why. 1. I can see a way out. I can see how Tris could sacrifice herself for Caleb (which, yep, she had to do) and still survive. As writers we give ourselves outs in our prose, sometimes they are small and wobbly because you don’t ever intend to use them but feel safer with them there. Sometimes they are foreshadowy and red-inked because you need to know they won’t go away. It was written, in multiple places, that Tris could withstand serums. I believe she could have survived had David not shot her. I also think there was a way to redeem Caleb’s character and save Tris from David’s bullet. I think Caleb could have done something. Maybe I’m wrong. Maybe I’m reaching. Maybe she could have reached a little too. For us and for Four. 2. Four didn’t get to say goodbye. The death will never feel satisfying to me, and it will never feel worthwhile for this reason. It will always be a little incomplete and unfinished. I needed more than I was given. I can even understand the argument that the way in which she died — and all the unsaid and unfinished — was appropriate for this series and world. I am not sure I care though. As a reader, I felt a little let down. It hurt. 3. Taking those other thoughts into consideration, this next one is completely and utterly personal. I am writing a series (hopefully someone else will agree and want to publish it), in first person POV, so I know what it feels like to share headspace with a character. As attached as I am to my protagonist, and as much as she is a part of me, I try to believe that if I HAD to kill her to tell her story honestly then I would. I respect Veronica Roth for her willingness to do this with Tris, because I am sure it was very painful. Having said that and understanding why she felt this was the right ending, it bothered me that she (Veronica Roth) didn’t fight harder for Tris. This is not an attack on her writing ability, nor is it an attack on her person. I just feel this way, and it won’t go away. Beyond my problems with the books (overall and Allegiant specifically) I still think the Divergent trilogy is a well-written, engaging and accessible series. Veronica Roth is a talented writer, and someone I expect, and hope, to be writing for years to come. I think the ending overshadowed some of the other big, fascinating aspects of the book. The world outside the fence is a broken but interesting place. The relationships feel real and vulnerable, which make the characters feel more human. For Veronica Roth’s first series, at such a young age, Divergent is a powerful example of her talent. I am able to get past my own muddled feelings to still recommend this series to everyone and anyone, and that speaks volumes to its value. I like Tris. but I LOVE Four (and yes, he will always be Four b/c that’s who he is and why we love him.) I wasn’t crushed because Tris died but because Four lost her. I wanted, NEEDED, for him to get a happy ending after everything he’d been though. He deserved it and I was so empty inside that he didn’t get it. I might not recover from this. Ever. Because of the mind meld, Sus! You are welcome to link or reblog and add your thoughts! I seriously have thought about it off and on since finishing, considering the best way to articulate my own conflicted feelings, and I’m glad that comes across! I agree. I think I would have been OK with the death, or it would have set a little easier with me, if he had been able to process her death with her somehow. Though, I will say, the chapters after he find out she died…so heartbreakingly beautiful. I know. I feel the empty. You brought up two great points that I hadn’t really considered, but totally agree with. First: Four’s POV helping us to see Tris in a kinder way. While I’ve always liked Tris, I’m not sure I ever felt a true connection to her, and viewing her through Four’s lense definitely helped with that. Over the course of ALLEGIANT, I started to love her for some of the same reasons he did. And second: The absence of a goodbye for Tris and Four. I wasn’t angry about Tris’s death, but I wasn’t in tears about it either, and I wasn’t sure why it didn’t hit me harder. I think it might have if there’d been some sort of dramatic parting between Tris and Four. The more I think about this book, the less I like it. Even while reading it, I found the pacing in the first half and the dual narration troubling. The ending had more action and matched the feel of the earlier books better, which redeemed it a bit. But as you said, the ending didn’t have to happen. Tris did survive the death serum, and then get shot. It’s a weird ending that feels more like a gimmick. I LOVED Divergent, so my lack of love for Allegiant feels ever more like a let down. Agree with your points about Tris – she was never my fave narrator, either. In Insurgent, especially, I wanted to slap her. And even though the dual narration in Allegiant didn’t always work, I liked seeing her vulnerability through Four’s eyes. You know, your thoughts on why you liked Tris more with Four’s POV in the mix is something I hadn’t thought of, but I think that’s why I liked her better, too. But I also liked Four better because we were inside his head. I guess I just liked being able to see characters how they see themselves as well as how others see them. I do disagree about the ending; I think letting Tris live after being shot would downplay her sacrifice. I loved what that moment stood for in Tris as a character, and had she lived it wouldn’t have seemed like such a sacrifice, even though her actions would have come from the same place. You really took the words out of my mouth. (You said everything I’ve been feeling much more eloquently than I did on my review.) 😉 I think I agree with Susan when she says that I wasn’t so sad that we lost Tris but that Four lost her. And those chapters, afterward, were my favorite of his–maybe of all–with him remembering her as the stiff and being the first to jump… I’m tearing up all over again. Him with the memory serum. A good-bye would have helped and that probably could have made me perfectly happy, now that I think about it. Great review! It’s so funny how varied the opinions are on this book! I love that. Thanks Kari! I appreciate and understand your reasons for feeling so devastated after Tris’ death. I felt the same way, though I understand why it happened that way. If Tris was going to die, I kind of appreciated the fact it happened in an unexpected and unfair way, because that’s what death sometimes is. It was still upsetting though, and really sad that she didn’t get to say goodbye to Four. I love how you said that Ghenet. “If Tris was going to die, I kind of appreciated the fact it happened in an unexpected and unfair way, because that’s what death sometimes is.” So true, even if it bums us all out. I didn’t even think about how Four’s POV let us see more of Tris – I was so focused on what we learned about him as a character, but you’re totally right about what we learned about Tris through his eyes, too. Then again, I didn’t have the same problem you had connecting with her, at least not in the first book – there were certain aspects of her character back then that resonated with me. 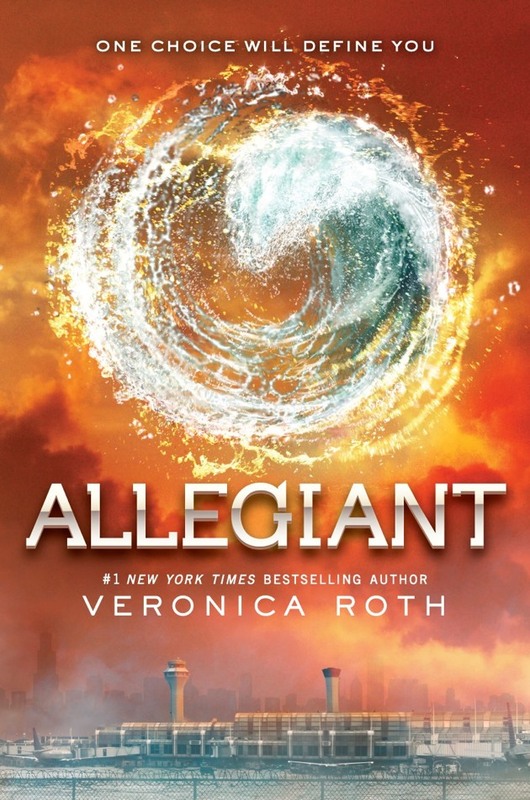 Even though I thought the POV’s were similar, I did feel a lot closer to both characters at the end of Allegiant, and that made the whole book better for me. I know, Four’s initial struggle after Tris’s death was so gut-wrenching, and it did a lot for his character.